The New York Chinese Scholar’s Garden is truly unique attraction that adds new dimension to our understanding of life in ancient China and serves as the perfect setting for a host of multi-cultural events. It features magnificent rockery that resemble mountains that inspired the poetry and paintings of Confucian, Buddhist and Taoist monks and other scholars. Visitors can explore eight pavilions, a bamboo forest path, waterfalls, a Koi-filled pond, Chinese calligraphy, and a variety of Gongshi scholar’s rocks including a 15-foot formation that towers over the central courtyard. The Garden is a compilation of different gardens in China. It is based on Ming Dynasty Gardens (1368-1644). The New York Scholar’s garden is the one of two authentic scholar’s gardens in the United States. 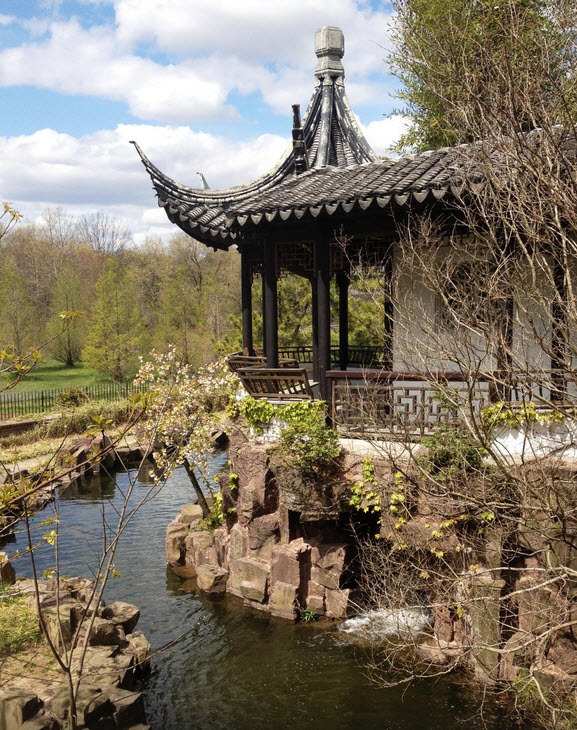 A team of 40 Chinese artists and craftsmen spent a year in China creating the Garden’s components and another six months in Staten Island as craftsmen-in-residence at Snug Harbor to complete the construction. Snug Harbor partnered with the City of New York, the Landscape Architecture Company of China, the Metropolitan Chinese American Community and hundreds of volunteers to build the Garden, which opened in 1999. For twelve years, the New York Chinese Scholar’s Garden has been one of the most popular attractions at Snug Harbor. Tens of thousands of visitors have enjoyed the beauty of the architecture, plantings and ponds. However, climatic conditions andbut budget cuts have made maintenance a challenge. You can help to keep the garden beautiful for future generations by giving to the campaign to support maintenance and restoration of in the New York Chinese Scholar’s Garden.